Mark Kingwell is as at home discussing Battlestar Galactica as he is civility, can find the Plato in popular culture, and sees in idleness a deeply revolutionary gesture. In Measure Yourself Against the Earth, he brings his heady mixture of critical intelligence and infectious enthusiasm to bear on film, aesthetics, politics, leisure, literature and much more, showing us how each can help us to imagine and achieve the society we want. The concept of "the gift" unites many of these essays: it is in this idea, Kingwell argues persuasively, in which we may be able to refashion the real world of democracy. "An activist, fugitive democracy. A living democracy that is no opaque demand but a real thing--a society. Democracy: the gift we keep on giving each other." 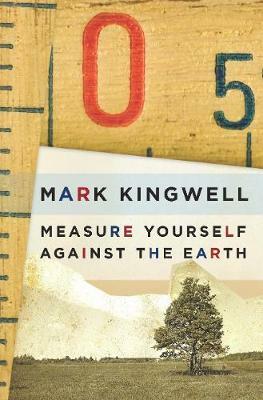 Smart, engaged, and wide ranging, Mark Kingwell's Measure Yourself Against the Earth confirms its author as among our leading cultural theorists and philosophers.